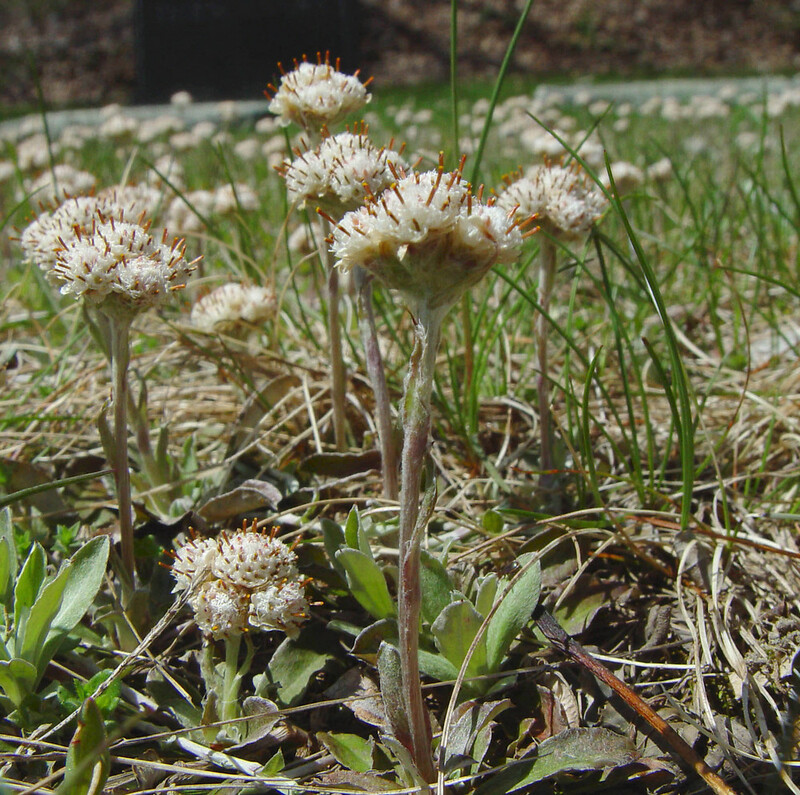 Antennaria neglecta is a perennial herb, 10-40 cm tall, colonial from creeping above ground stems that root at nodes (stolons). Leaves alternate, largest ones basal as are those at ends of stolons (which become new basal rosettes); blade 1.5-6.5 cm long, 0.5-1.3 cm wide usually with 1 major vein, widest above middle, base tapered to stem, densely wooly below, sparsely wooly or smooth above, stolons and flowering stem leaves small. Flowers whitish, dioecious (sexes on different plants), in heads, about 1 cm long, flowers largely hidden by 3-4 rows of papery, basal bracts, bracts often purplish at base; flower stalk elongating in fruit; blooms April-July. Fruit a dry, plumed achene. Habitat: Dry, sterile soil of open woods or fields.